One of the biggest benefits to taking a break from being a foster parent is that I have more time and energy to process and think about life. Sure, we’re also just days away from moving across the country for the 3rd time this decade, but packing and cleaning actually have a way of clearing one’s mind and allowing the thoughts to marinate. There’s a definite conversation that I’ve wanted to have with you all for a while (a “Part 2” to my “Motherhood Is Not My Calling” post). Every time I get on Facebook or Bloglovin, I run across a few mommy “how-to”s or articles, which are usually followed with a heated string of comments/debates. And I start to ask myself– why do we have these reactions? Why do we have these Mommy cliques? And it gets me thinking. For centuries, mothers operated by watching their mothers, grandmothers, aunts, cousins, etc. They grew up in a “tribe”, and they learned from their tribe. There was no internet, no “What To Expect” books. They followed by example, and they naturally fit in and became part of their unique slice of the world. And then came the 20th century, a product of the World Wars and the Industrial Revolution. And things changed. Most women found careers; technology burgeoned and struggled to find it’s place and appropriate boundaries. And then the internet happened, along with the “age of information” overload. The women of our generation are different, in many ways, because we are a part of this technology and age-of-information revolution. We have seen that not everything is progress, and many of made the decision to go back to the way things “used” to be, in an effort to do things better. I am not about to knock any of that. I do not think that progress is always better (hello, I’m Eastern Orthodox), and I think that there are some cultural shifts that are harmful and worth throwing away. Which is why I’m about to say what I’m about to say. Since many mothers have decided to go counter-cultural, which includes discarding many of the ways in which they were raised, they are left searching for a “new” tribe. All people need a group of people to find support and solidarity with, sometimes called their “village”. Mothers, in particular, are often isolated and need this support and solidarity more than most. Motherhood is a very lonely calling, at times, and it doesn’t take much before this loneliness can become a major problem. At the same time that women are reaching out and trying to find support, they are also inundated with opinions and advice about motherhood. And many mothers, especially first time moms, are particularly vulnerable to all this information, because they feel struck with a powerful need to protect their unborn/newborn from all of life’s evils. I can say this because I was THERE and did it. New mothers are eager hormonal sponges, and the internet is a tsunami. Motherhood is also a huge time of growth for many, a time for leaving behind who they were and becoming who they will be for the rest of their lives. Once you become a mom, there is no going back. And many soon-to-be moms sense this change and are deciding what kind of mom they want to be. They need a badge, a name, something to define themselves by. I know what it’s like, believe me. When I used to be able to define myself by a movement, I felt safer somehow. I felt like I had found my place, and like I knew what my course of action was to be. For instance, every time a doctor’s visit came, I just consulted my Dr. Sears’ vaccine book, because that’s the kind of mom I had decided to be. At first, I didn’t even know which pediatrician to use– that is, until my birth center gave me the list of “pre-approved” pediatricians. My tribe had been found, and all I needed to do was consult it to find the answers. But you know the problem I quickly found? Life doesn’t work that way. We don’t get to find our path for ourselves. We don’t just wake up one day and decide who we’re going to be for the rest of our lives. Not only that, but the unborn child has a mind of it’s own from the very start. Every woman’s uterus is different, and every unborn baby is different. We all acknowledge that every birth story is different, so why don’t we acknowledge WHY? Because stereotypes don’t work. People don’t just get to decide what kind of birth they will have. Life will decide it for them, based on an exponential amount of variables. I do not intend to pick on one particular clique. However, I am sooo sick and tired of hearing it said that if women just did their part (preparation, finding the right midwife, eating this or that) that the odds are in their favor for a natural birth. I think that the pendulum has now swung too far away from hospitals and that we’ve demonized wonderful men and women who have given their lives to the calling of allowing women to safely deliver in hospitals. We have not just stereotyped hospitals, we’ve also unintentionally stereotyped millions of women. It makes me incredibly sad to watch friends around me attempt home births, end up at the hospital, and then feel too ashamed to even talk about their birth story. Their birth story! The most amazing and beautiful and wonderful moment of their parenting career, wherein their child entered the world and took their first breath! How can we forgive ourselves for creating a culture in which women are too ashamed or defensive to talk about their labor and delivery? How can we forgive ourselves for making millions of mothers feel like they have failed after they have just done something as incredible and heroic as giving life to another? Let’s not even forget that most women whose births went south and ended in c-sections or epidurals are double-heroes for sacrificing their own preferences for the sake of their babies’ safety. And then the darling newborn in our arms quickly becomes a unique individual, full of attitude and challenges and variables all their own. We might declare that we are an attachment parenting/on demand breastfeeder, only to discover that a good night’s sleep is essential to our marriage. We might decide to be a stay at home mom, only to find that our family needs the money. We might declare ourselves a homeschooling family, only to realize that one of our children does not have the right personality for it. We might declare ourselves “NFP” through all of our research, plan to have another baby at a specific time, then be unable to conceive. All of the things we research hold little water when faced with the variables life throws at us. We don’t have the ultimate choice over our lives or the lives of our children. As a result of all I’ve seen and experienced, I’ve decided to form a new tribe. A new clique. I am declaring myself a member of the “DO WHAT WORKS” group. A “DO WHAT WORKS” mom picks and chooses from a variety of beliefs and methods in order to create the perfect concoction for her unique family. She might do things one way, and then do a complete 180 a few months later. She does not need the identity and confidence provided to her in these groups, she believes in her own choices and has prayerfully considered the options. A “DO WHAT WORKS” mom does not judge the choices of others, because there is no way she could discern from the outside what actually is or isn’t working for another family. She only hopes to one day know her own family’s needs. She can offer help and support to others, but she’s fully aware that not everyone needs it. This is the kind of mom I am striving to be. As a result, I’ve done things differently for each kid and for different times in our lives. * I had two natural births. The first was insanely horrible, aside from the fact that I got the biggest blessing of a baby out of it. After over a day of active labor, I ended up with a broken tailbone and a huge episiotomy. I DEFINITELY see why someone would want an epidural. If I could do it over again, I would’ve CHOSEN an epidural. * My second birth (at a hospital) was much more natural than the birth center birth. It only took 5 hours, zero complications from start to finish (I did, however, almost bleed to death afterwards). And yet I STILL see why someone would want an epidural. (You can read my “Birth Center vs. Hospital” post here). * I breastfed fulltime until 9 months with Gregory, even though it was a huge struggle and I had to WORK at it like you wouldn’t believe. Once I got pregnant again, we straggled on little here and there until 11 months, but my body was unable to continue despite all of my natural remedies. He was formula fed for the last few months. He is also my healthiest child. 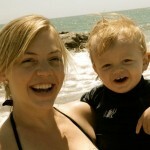 * I breastfed fulltime (not even pumping or using any bottles) 19 months with AJ, and had no problems with milk supply. Same mother, same body. And, wouldn’t you know it? He is always the first one to get sick in our family. * Sometimes I vaccinate, sometimes I don’t. We had a Hepatitis scare in our family due to foster care, and I decided to go ahead and start vaccinating. I wouldn’t trade that decision for the world. Safely caring for orphans meant more to me than sticking to my guns about certain beliefs. * We have done CIO (cry it out) and co-sleeping. 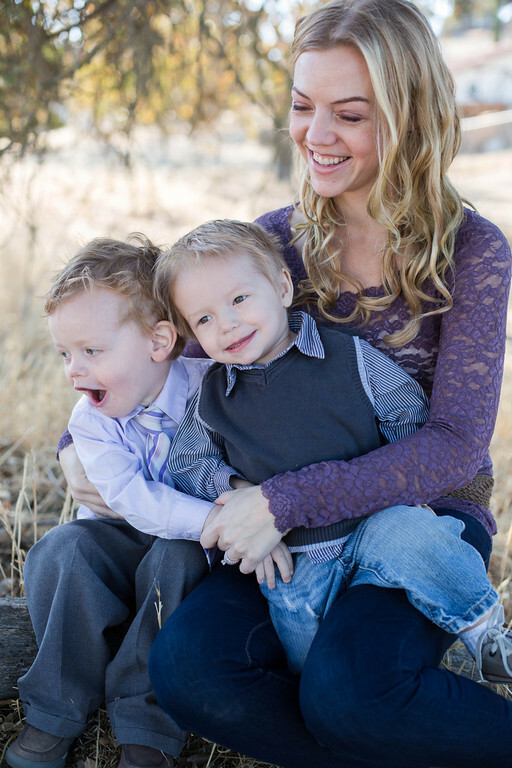 AJ didn’t sleep in his own bed until he was over a year old, but Gregory was in his own room by 6 months. There is no one way of attempting any of these hot-button parenting issues, and I am not going to pretend we are a one-size fits all family with all of the answers. And you know what? I have company. I have one friend who had 3 beautiful home births and has exclusively breastfed for all of them. She cloth diapered for a little while, but currently uses disposables. She doesn’t buy organic food, or shun gluten, or make her own cheese. She buys her food from Walmart, because she has made an informed decision to save money on food in order to not have to work as much. She works part time, but doesn’t consider herself a working mom OR a stay at home mom. She vaccinates on a case by case basis, knowing she can’t control every potential side effect or germ out there. She has done a combination of cry it out and on demand breastfeeding. She has chosen to homeschool, but her kids also watch TV. In other words, she does what works for her family, when the situations arise. She doesn’t define herself by anything other than waking up each morning, striving to be the best possible mother she can for her family’s sake. As a result, she has done a fantastic job. I could name a bunch of other examples of Mothers just like this, who pick and choose from a variety of methods, all dependent on what works for them. It’s not an all or nothing game, it’s about endurance and staying the course. There is no Facebook group devoted to these kind of mothers. There is no easy way to brand them. They don’t have a widely accepted acronym. But what mothers like these do have is peace. They have no guilt when they have to ditch the old method and try a new one, no allegiance to any particular “tribe”, no words or declarations that they have to take back and swallow. And what I have learned over my 4 (short) years of being a mom is that for every outspoken person out there, there are ten others who are quietly going about their business. My hope is that I can grow into a mother who is too busy living life and enjoying her kids to worry about which category I fall into. This is what works for me. You go Mom! Is that cliche? I don’t care! I’m exactly the same way! 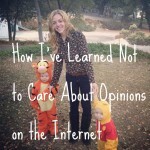 I despise the mommy wars and long ago gave up on trying to “define” my parenting style! I’m with on the “do what works” because every child, every parent, and every home is different! Thanks, I’m glad to hear from another mom like me 🙂 Thanks for the shoutout on Twitter! I’m a total Do What Works Mom! Love it. When I had Florence I breastfed for a while and then had to switch because she was rapidly loosing weight, etc. When I would start with yes, I breastfed the moms would be SO happy then when I would say I stopped they would like glare at me and tell me I should have done X,Y,Z. I understand judging from non-moms (they have no clue what it’s really like) but moms should know better then to judge any other mother! Exactly, Madaline! I have yet to meet a mother that wasn’t trying, and yet the criticism assumes that you’re either ignorant or haven’t put out enough of the right effort.